Today I get to share with you the latest book int the All About Series at Tuttle Publishing. I love this series!! 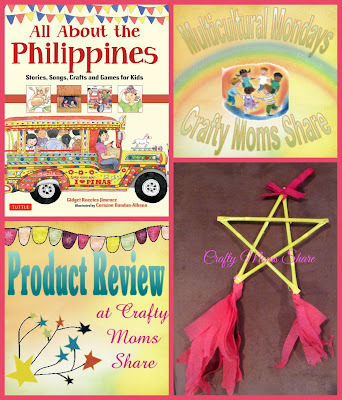 The books are perfect for learning about each country with stories, crafts, recipes and information and so much more!! 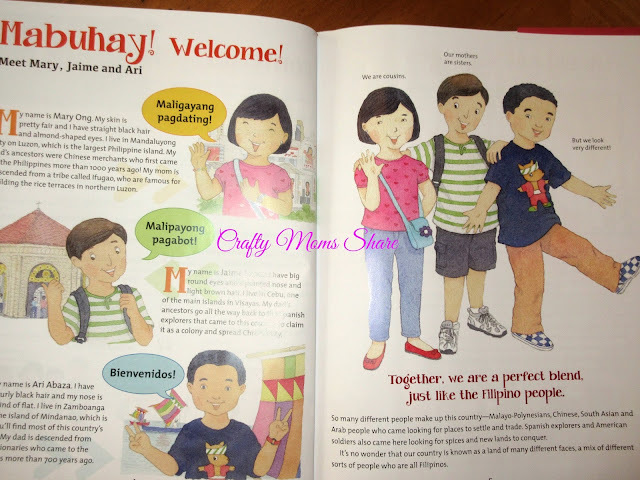 Like the other books: Indonesia, Japan, Korea, and China, All About the Philippines by Gidget Roceles Jimenez and illustrated by Corazon Dandan-Albano goes into so many details about the Philippines as well as the culture. In All About the Philippines there are three kids that share their story. Meet Mary, Jaime and Ari. They are all cousins (their mothers are sisters) but have a very different culture from one another due to their different fathers. 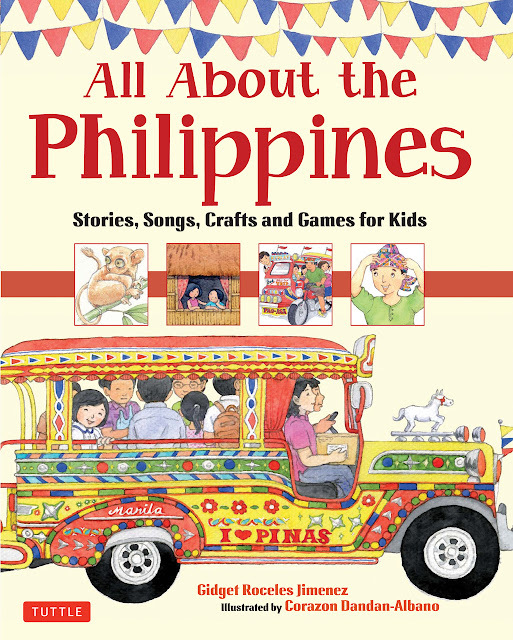 The book goes through the basics of the history of the Philippines and shares the Filipino Legend of the Sleeping Giant. It also shares the every day life of each child. Mary's father has Chinese ancestors and they live in Mandaluyoung City. Jaime's father has Spanish explorer ancestors and they live in Cebu. Ari's father has Arab descendants and lives in Zamboanga City. They are examples of the mix of cultures throughout the Philippines. There are over 7000 islands in the Philippines. Less than half of them have names and only 2000 are large enough to be inhabited. The kids describe everything from trips to other islands as well as festivals on different islands to some of their holidays. They talk about the various languages and what life is like in their home and culture. 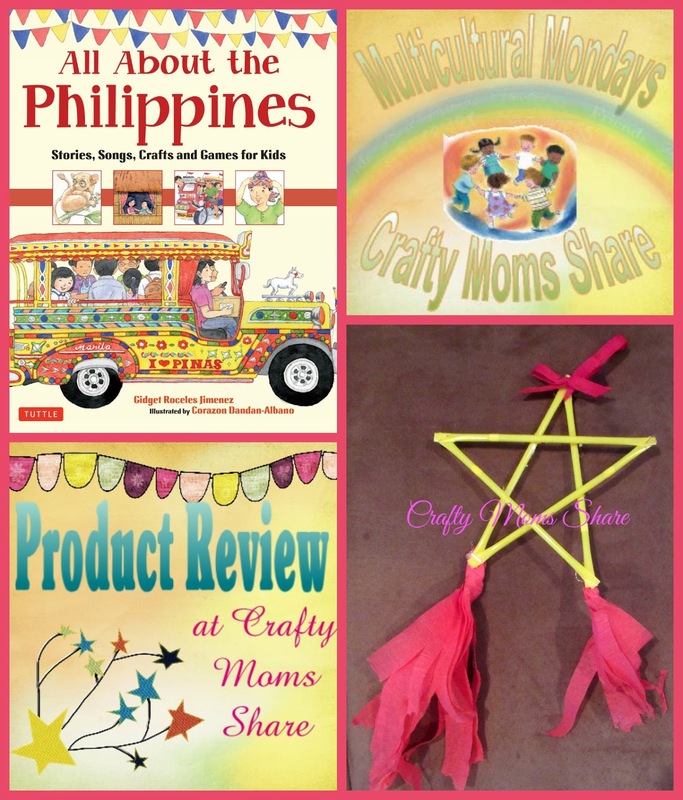 There are games explained with a craft to make one as well as recipes for one of each child's favorite meal. We have not tried the recipes yet. 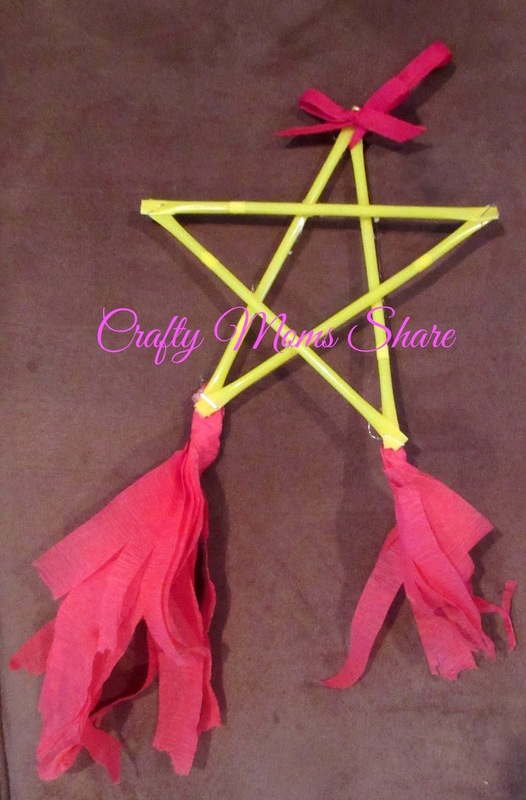 We did however make a parol which is used to light the way to church on Christmas Eve. The craft in the book is very simple and does not include a light. 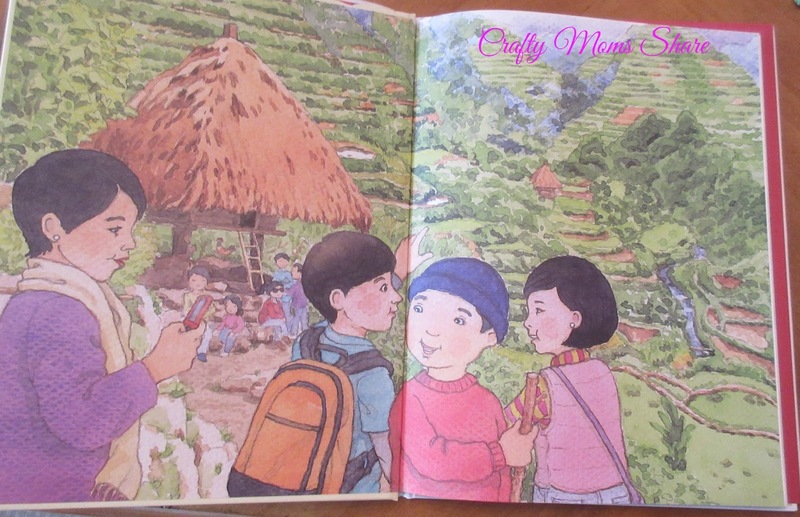 The illustrations in this book are beautiful as well. I feel the entire book gave us a glimpse at life in the Philippines. I can highly recommend this book as well as all the others in the series. We love them! !